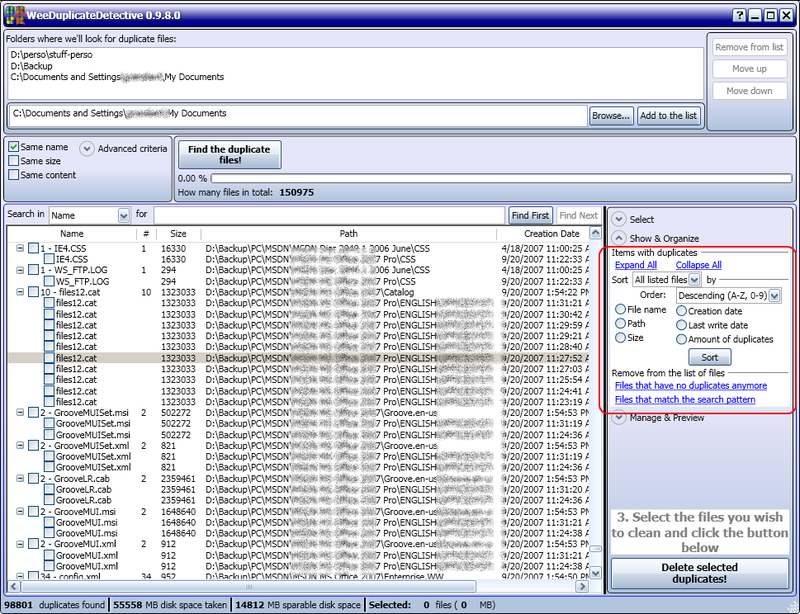 After a long period of time, the new version of WeeDuplicateDetective is finally available. 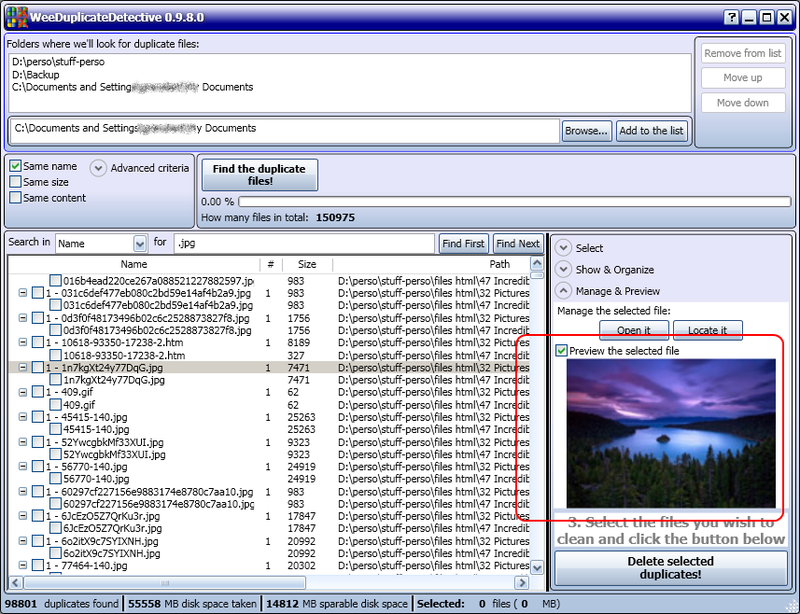 “WeeDuplicateDetective The interface is very organized, however, there should be a little clearer tabs to enable a more effective visual distinction between the different regions of program options. His speed is impressive, making the software able to do a complete scan of unity in a few seconds. 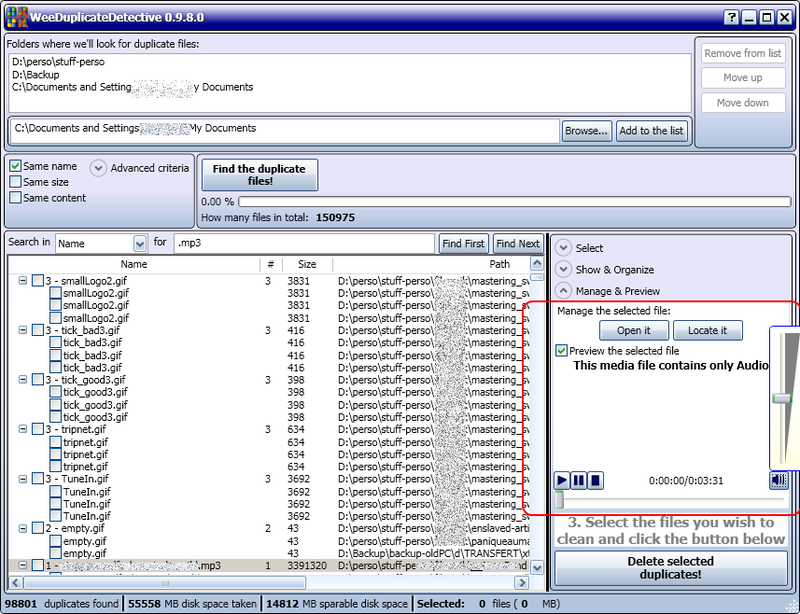 The performance of WeeDuplicateDetective in search of duplicate files is very good, finding them without difficulty and offering several options and relevant to deal with. 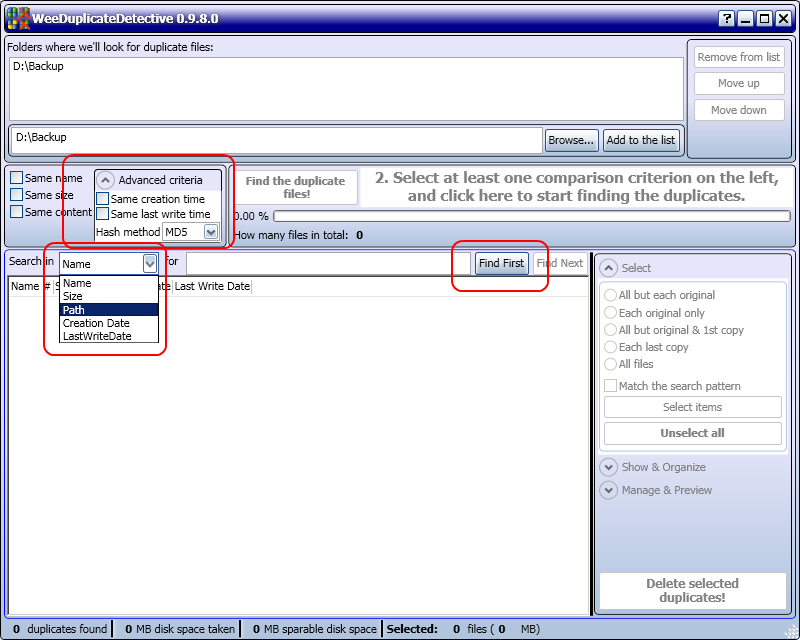 The amount of available criteria to differentiate the files is not quite satisfactory: we would have more options, for example, filter or search for a specific length of just the name typed. * signal system files / backup files, etc. as being dangerous to remove. I am also considering adding a new clean up method: create shortcuts to the 1st copy. A competitor is doing this and I like it :). WDD 1.0 has been approved on SoftPedia. 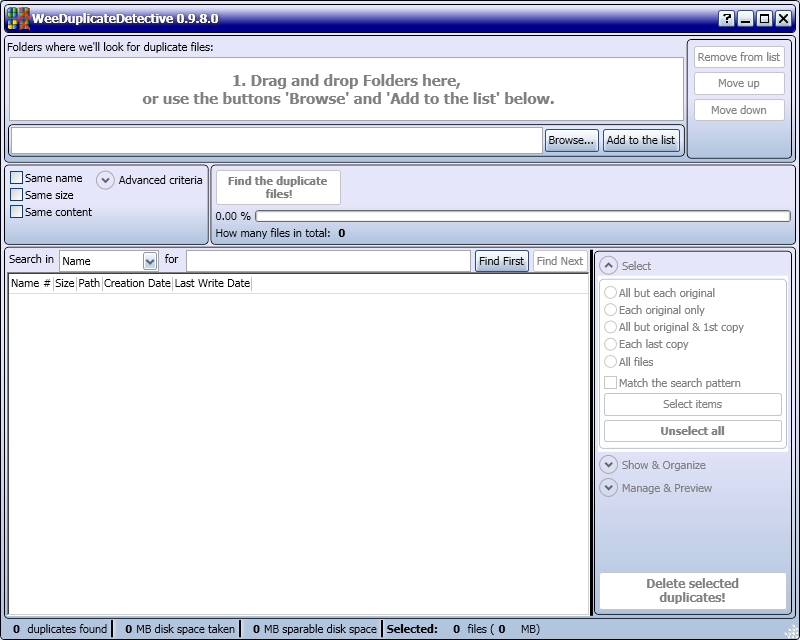 Well, here it is, WeeDuplicateDetective 1.0! 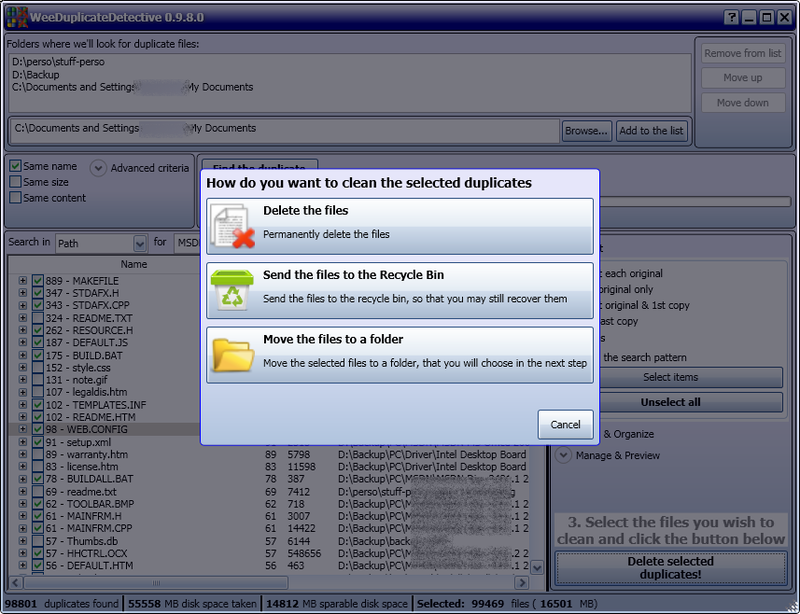 Mark the files that you want to clean up with a variety of selection schemes. 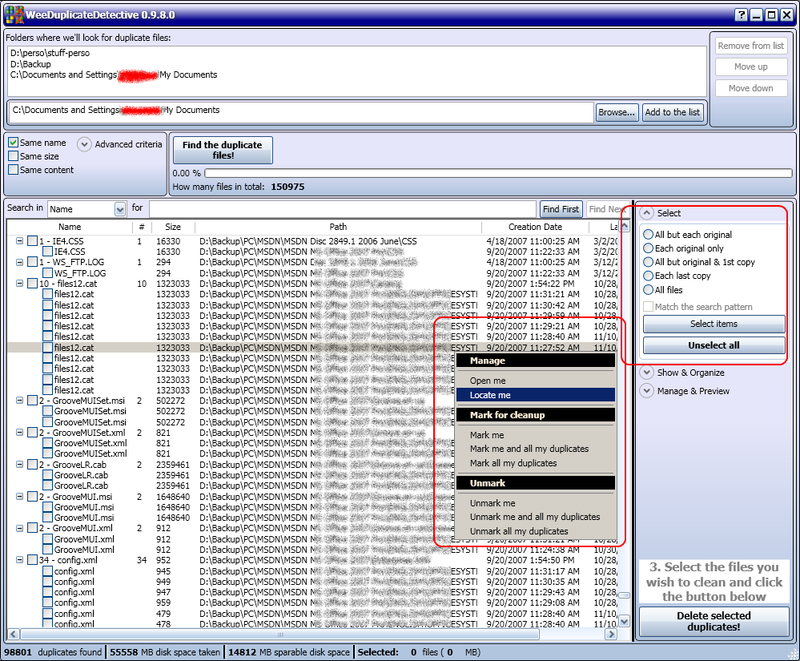 Use the context menu for more options, applying to a specific item in the list.